I love the Olympics, and this winter Olympics in Korea did not disappoint. I was amazed, inspired, moved, and motivated. In the past, I felt like I would lose two weeks of productivity because I would get sucked in to watching every night, and then once they were over it was a bit like I lost two weeks of my life. Out of site, out of mind. Not much insight would have taken place. Maybe I’m becoming wiser with age (or so they say), but these aha’s stood out to me as I reflected on the incredible road these athletes march along as they go for their dreams. What’s your biggest dream? Hold up. Don’t have one? I hear that so often from my clients. Who has time for dreams and schemes when you’re busy living. Insight #1 Know your biggest dream and share it with the world. Kudos to those of you who have a dream. If you’re not making any noise about it, it’s quite hard to make movement. If you’re struggling to own your dream, or even figure out what it is, we can help you. Insight # 2 Every second counts. How the difference between medaling and not medaling in the downhill race was less than 1 second. 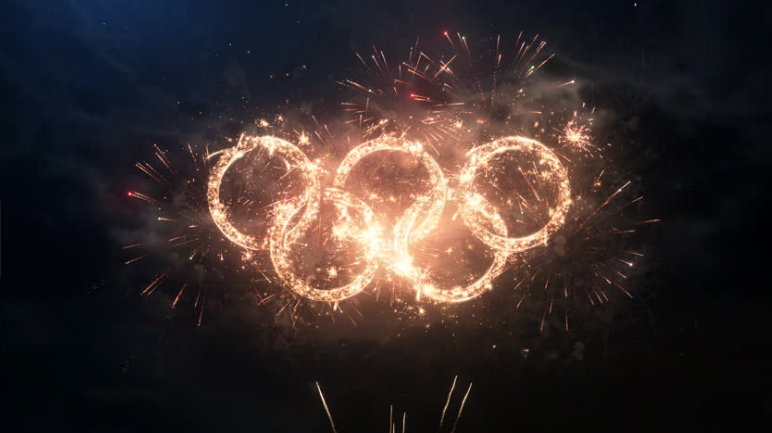 The fact that microseconds separate Olympics medalists and non-medalists highlights the fact that every second of our lives is an incredible gift. It really boils down to choices and intention. What do you want and who are you going to be in effort to make it happen? Insight #3 Get back up. Mindset is 90% of it. Last October, Shaun White crashed in a training run in New Zealand, an accident that required 62 stitches. The immense courage and mental stamina to recover from that accident and go on to win gold is amazing. Check your mindset. Do you believe anything is possible and, even more so, do you believe your dreams are possible? Insight #4 Self-awareness can be your biggest growth strategy if you leverage it. All of our core tendencies are revealed under pressure, which is one of the reasons I find the Olympics so exciting. These athletes have honed their tendencies with such an intensity of preparation, so that when the pressure is on, their tendency is automatic, focused performance. When the pressure is on, what tendencies are revealed in you? Do you tend to please others? Do you tend to withdraw? Do you tend towards aggression? Do you tend to make yourself superior? Pressure reveals the truth in all of us. Self-awareness can be your biggest asset if used for growth. Insight #5 The destination is the journey. Some of these events are fewer than 2 minutes long, yet these athletes prepare for years. If they were only doing it for the medal, they’d never be able to go the distance. We must find joy in the journey. Are you measuring your success by achievement or fulfillment? Insight #6 Preparation is everything. One of my favorite Olympics quotes is from Bobby Knight, coach of the 1984 gold-winning men’s basketball team. “The key is not the will to win. Everyone has that. The key is the will to prepare to win that is important.” You say you want that promotion. The trip to Hawaii or to laugh more with your spouse. But what intentional action are you taking everyday (and, I do mean everyday, no matter how small of a step) to move yourself close to your goal? I could go on and on. But, I’m going to stop. Catch my breath and remember these insights. One of my dearest mentors always reminds me, “You have to slow down to speed up.” If you choose just one of these insights and acted on it today, I wonder how much closer you’d be to experiencing the full expression of who you’re here to become? Would you be courageous enough to share with our community? We want to hear from you, and if you need support, please email me directly, and I will get back to you.